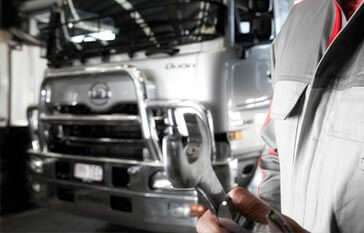 It has never been easier to get your vehicle serviced with JT Fossey Trucks. The team at JT Fossey Trucks are passionate about providing your vehicle with the best service while ensuring your complete satisfaction. JT Fossey has been servicing the North and North West areas of New South Wales for more than 75 years. JT Fossey specialize in Volvo, Mack, UD and Fuso trucks. We also cater for all other makes and models which require service and spare parts. We have a fully equipped workshop with three full-length work bays, overhead greasing and oil supply, service pit and pressure washing facilities. B-Double access is excellent with room to manoeuvre and a separate area to park trailers. JT Fossey Trucks offer fully factory trained technicians to ensure the workmanship is kept to the highest levels. Technicians are regularly enrolled in update courses to stay abreast of technology changes. Workshop hours are from 8.00am to 4.00pm, Monday to Friday and 8.00am to 12.00pm Saturday. Service can be performed outside of these hours by making prior arrangements with our Service Manager. Our SPARE PARTS division carries a substantial range of Volvo, Mack, UD, Fuso and Hendrickson parts. We are computer linked to our suppliers and therefore able to source truck parts quickly and efficiently. We also have access to accessories and safety related products for your convenience. 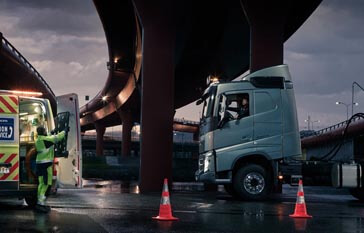 We are fortunate to have staff with many years of experience in truck after sales. They are committed to providing prompt and consistent support to our customers. To book a service, simply select a date from the calendar on the left, complete the form, and submit your request. One of our team will be in contact to organise your service. We also offer a 24hr breakdown and parts service to help minimize downtime.